Pinocchio is the main protagonist from the 1940 film of the same name. He is a living puppet who must prove himself worthy to become a real boy, with the help of Jiminy Cricket as his conscience. Walt Disney and his crew used a marionette model and child actor Dickie Jones, who voiced Pinocchio in the movie, to animate the character. Instructions : Start with the hat, after finishing the hat add both parts of the feather. Continue with the hair, face, nose, head, neck. Be sure to add support to the neck to prevent it from breaking. Build the collar and add some support in there too. Build the tie. Build the hands starting from the fingers and work your way up to the sleeves and add both hands to the collar before building the body ( the inner side of the jacket is kind of tough). Build the thighs. The final part is to build the Shoes and legs and attach them to the body in an angle you think will make your Pinocchio stable. Notes: You can attach the legs to the body in an angle you want, to make the model more or less stable. THIS IS AMAZING! Definitely goes on my to-build list! If we lived in the same country, I swear to God I'd pay for your Pdo's. Thank God you do this for free :) lol. Huge fan of your work man, kudos! Eh, another lame unposed model. Seriously, why waste time doing something if it's going to look like it's stuck halfway through making a snow angel. I don't understand this. You know what unposed means?? It means in a T-pose which is : arms straight shoulder height, legs both in the same angle and unrotated in any way. And the unposed on has the hair going almost upwards. Please understand how is this unposed? Wow, insecure much? I'm entitled to my opinion, and my opinion is that it's lame and unposed/poorly posed. You flipping out just shows you do actually care more than you should. I actually work a lot on these, so me flipping out is kinda natural considering i "waste" several hours on them. PERFECT!...I'm doing a Christmas window for a small midwest library here in the US this will be such a great addition to the display. Thank you a 1000 times for posting it! Also I APOLOGIZE for the "mean spirited and intensive comments" that some people felt it was necessary to leave. There is so much negativity in the world today I don't understand why p[eople take the time to post such trash. Anyway thank you so much again! Hey, Don't pay attention to the "Anonymous lame freak" I love the pose you gave Pinocchio. Your model is fantastic; the colors, the gesture, very real like a "real boy":o) Thanks a lot for sharing!! Raul from Argentina. Thank u so much, you've enjoy my day! Thanks Sabi! Nice work! and thank you for including the pdo file! Hi! 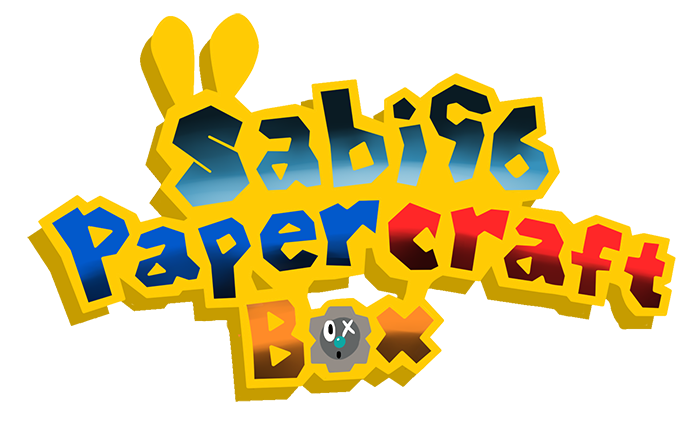 This would be my first paper craft model, for my little nephew, I know this is going to be hard, but I'll be fine. Anyway, how do you support the next? What kind of support do you add? Thanks, and thank you so much for these templates!! The paper itself should be strong enough for anything but the neck. I suggest stuffing it with leftover paper so that it doesn't cave in on itself. Good evening. Firstly, I would like to tell that I am using Google Translate ... rs. 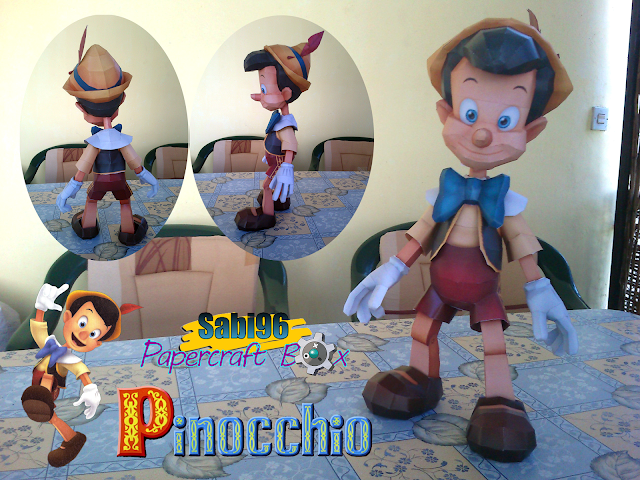 Congratulations for the work loved that Pinocchio. I started to do, but I think I did something wrong and I need your help. I got the shoes to the body. I did separate hat. I rode his face in her hair, but I can not find a way to put the hat on it, because I have to paste inside and I can not find the space. How do I do? I hope you have understood me.